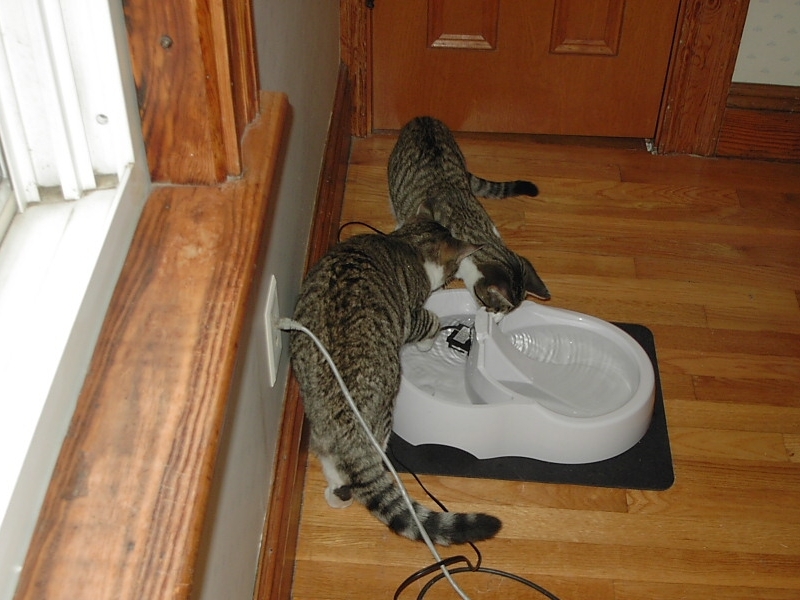 The water fountain mostly looks after itself, especially compared to our three times day litter boxes. However, the fountain does need to be drained of debris, wiped clean of slime, and the reservoir refilled about twice a week. 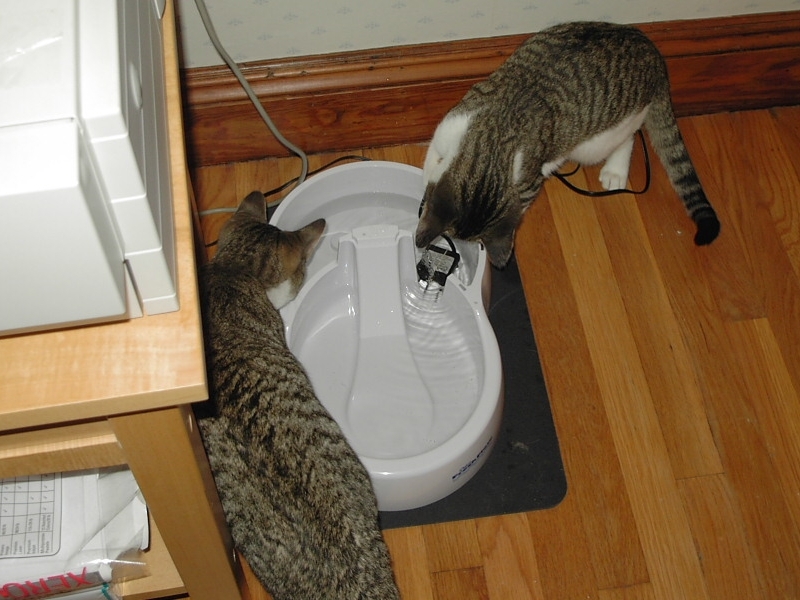 This afternoon I gave it the usual service, but after I refilled the bowl I let the pump run exposed as a treat for the boys while I finished refilling the reservoir. They didn't disappoint. I'm not going in there!